Buy TRAKTRAIN 6 Panel Black Hat at the TRAKTRAIN Store. Branded clothing, embroidered logo on front and embroidered text on the back, limited edition, delicate wash/air dry. TRAKTRAIN is proud to present its legendary item in the branded clothing line – 6 Panel Black Hat. These hats are ubiquitous and universal pieces of clothing worn by virtually anyone. 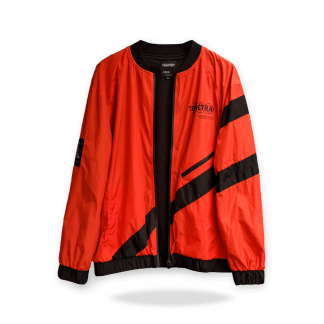 Therefore, it becomes especially important to wear those of truly unique design if you want to stand out in a crowd. 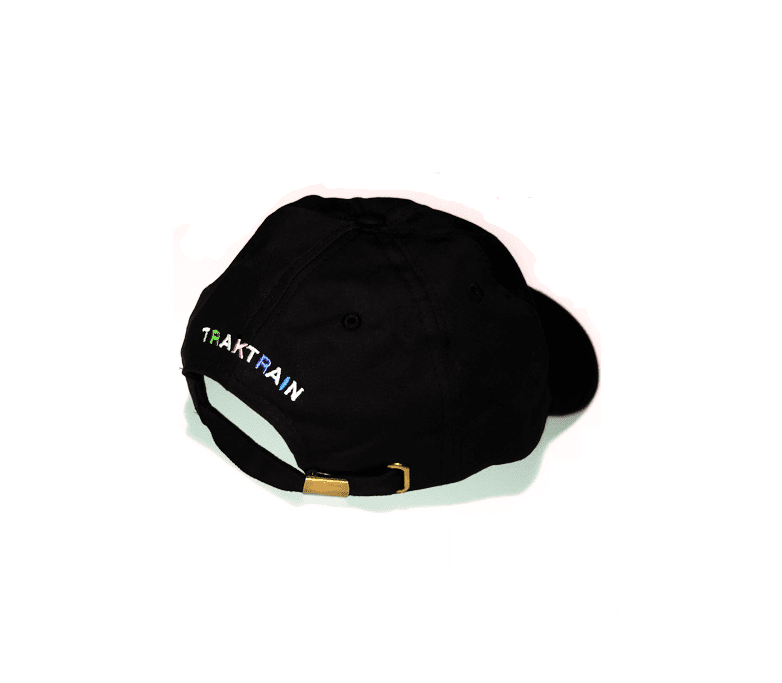 And TRAKTRAIN’s take on the 6 Panel definitely provides you with a great option. 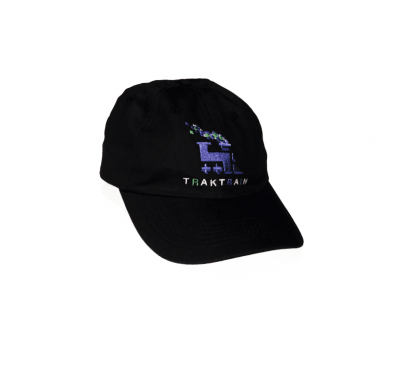 Embroidered with the project’s title in the back and the colorful logo on the front, this hat is sure to grab people’s attention. But of course, when it comes to clothing, the looks aren’t everything. So for our branded cap, we made sure to pick a comfortable model made out of 100% cotton, with a reliable metal clasp in the back, one size fits all. 6 panels came from athletic ball caps and quickly became a standard in casual clothing. Because, just like T-shirts, they offer great comfort and customizability in terms of design. Consequently, they were adopted by the Hip Hop scene and later the EDM scene as a means of expressing one’s musical preferences, activities, interests, and personality.